Novation’s smallest and most compact MIDI controller, the Launchkey Mini gives you all the tools to create great tunes without cluttering up your deskspace. 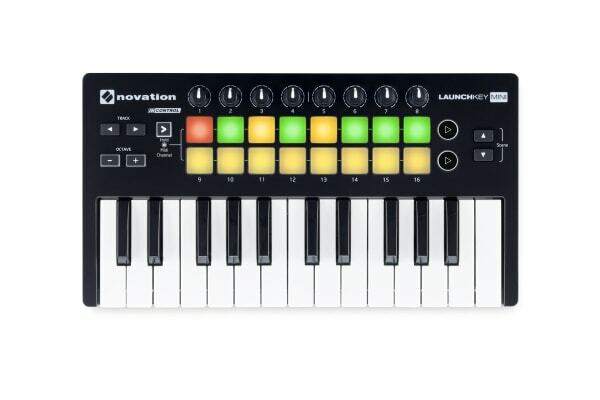 Including everything you need to start creating and recording tracks, the Novation Launchkey Mini Portable Ableton Keyboard MIDI Controller is an intuitive and simple to use MIDI controller. With seamless integration with Ableton Live Lite 9, you can start producing tracks right away – simply plug in and play. 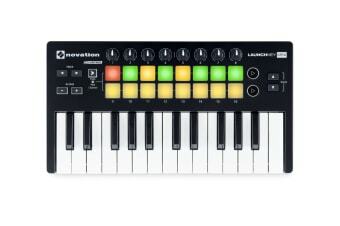 Mix up your tracks by loading drum and instrument beats into the keyboard and launch them using the 16 multicoloured pads. With loopmasters you’ll also have access to a massive library of free loops and one-shots encompassing a huge range of genres and instruments. Made to be compact and durable, this MIDI Controller easily fits in your bag and works as soon as you plug it into your laptop – no additional adapters or cables required.